Just as soon as one bundle is done, another one comes up and takes its place! I haven't got to play all the games from the last one, and now they have an all SEGA line-up for your purchasing prerogative. Yeah, they always add more games down the road, and you'll get them if you paid more than the average now or later. 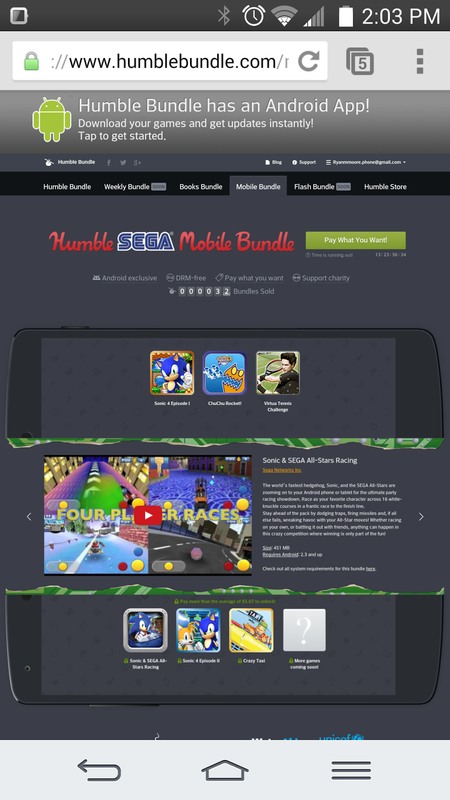 I've never been much of a Sonic guy myself... but I haven't missed out on an Android bundle yet... hrmm. And besides, a portion of the proceeds goes to charity - so you gotta 'think of the children' (and it's better than that #IceBucketChallenge).